Emily Winters is trying to adapt. It is not so day to hold onto your regular life after having it ripped apart by Furies. They haven’t left Ascension though and Emily discovers their connection to the town is much stronger than she could have imagined. her new friend Drea is just as determined to get at the Furies, though she won’t tell Emily why. Em is also really trying to make up with JD which is a little difficult when there is so much she can’t tell him. There is also a new girl in town, Skylar McVoy, who is set on leaving her terrible past behind, including the secret she keeps deep within herself. She can’t believe her luck when popular girl Gabby befriends her. Then sophisticated Meg helps with a makeover and loads of advice, all of which seems to make sense at the time. This is the second of the Furies books. 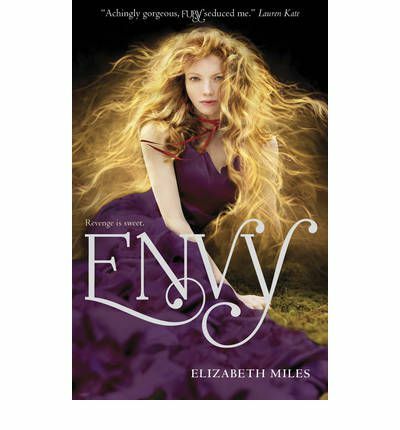 Em has grown, she is darker in this book, tougher, focussed and fighting not to loose her mind. She struggles to hold a life together that has two very different sides. She tries to maintain two practically opposite types of friendships. Drea is dark, moody, driven and hiding her secrets close. Ultimately Drea’s actions show just how driven she is. Gabby is a wonderfully developed character who provides a lovely counterpoint to the tormented souls around her. This story is tense, full of frustration and compelling. Skylar is the new girl, determined to do what most not popular people do when they start a new school – she just wants to fit in. Meg seems to exert a strange hold over her that Skylar simply can’t see, not even when it starts influencing her in making nasty choices. It’s frustrating to read that sort of thing sometimes as the manipulation is so obvious you just want to slap Skylar upside the head. All in all though I will admit to being curious as to where Miles will take this next. Not your normal YA paranormal fantasy.